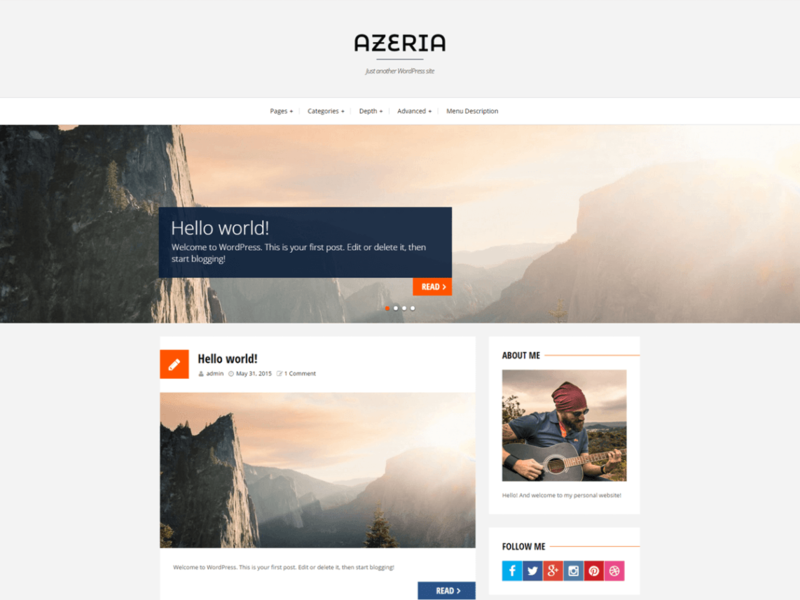 Azeria responsive WordPress theme is here for your reference. Clean minimalistic design is free to change up to your business needs and personal wishes. It could be a pertect starting point for creating your own “home” in the web.